Performing the adamu (the jumping dance – performed when a circle is formed by the warriors, and one or two at a time enter the center to begin jumping while maintaining a narrow posture), they stand tall and slender in somewhat stylish long ochre-dyed hair with Shúkà attire (red sheet-like material with hints of other colours e.g blue wrapped around the waist or over the shoulder) completing their overall look. 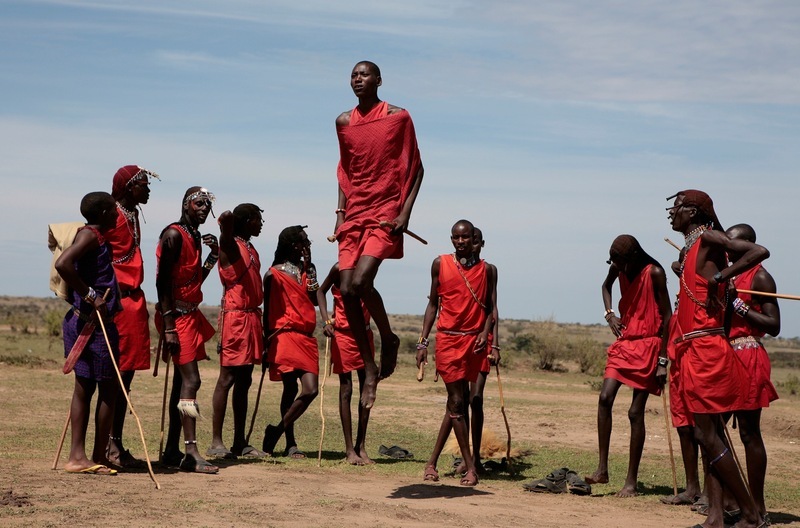 On other occasions you’ll spot them with a spear clutched on one hand and right foot hooked on the crook of the knee of the left leg; these are the stereotypical images we’ve become accustomed to when it comes to the Maasai in the tourism world. 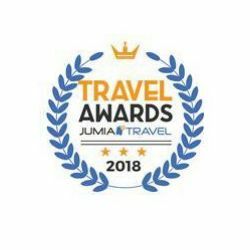 They are undoubtedly the most known Kenyan tribe outside of Kenya, having grown into a brand in itself not only for Kenyan tourism but also steadily for global fashion. The maasai brand is all over; maasai carvings and merchandise are in display in numerous curio shops, the maasai market has also overwhelmingly grown overtime, the maasai themselves stand on display at many hotel entrances as an attraction to the guests, even the high-end fashion house Louis Vuitton has a maasai line that includes; hats, scarves, duffle bags and beach towels. 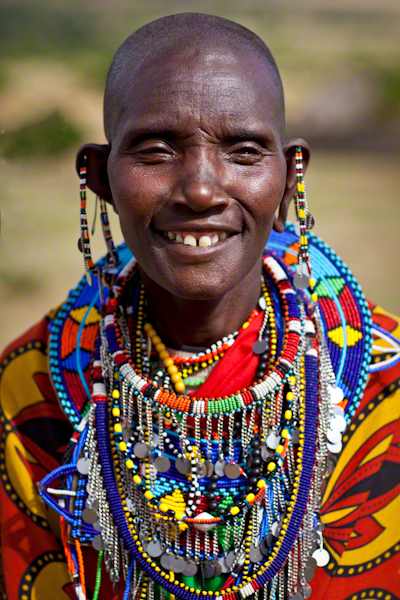 The distinctive Maasai beading and decorative jewellery has become a fashion item in the West, and remain one of the most popular items taken home by visitors to Kenya. 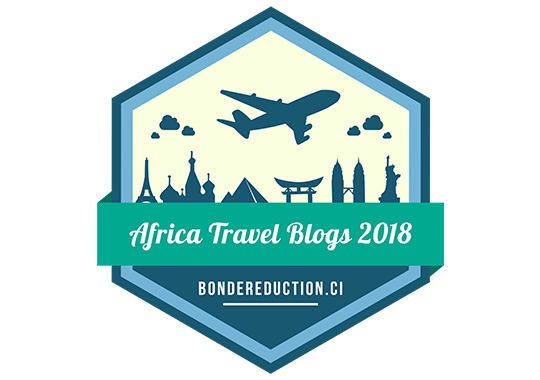 So popular has Maasai beading become that many modern functional items, including watchstraps, belts, handbags and even mobile phone covers are being produced in Maasai designs. There are currently about 80 companies around the world using either the maasai image or name; showing just how big a brand the maasai have become. Sadly though the ‘Maa’ speaking people aren’t part of the trade – anyhow, that’s a story for another day . 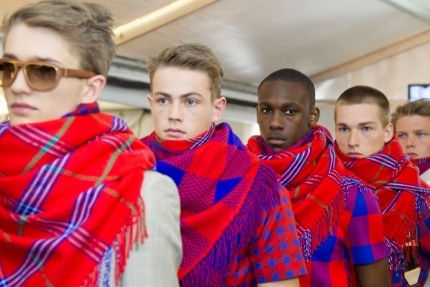 But who really are the Maasai? 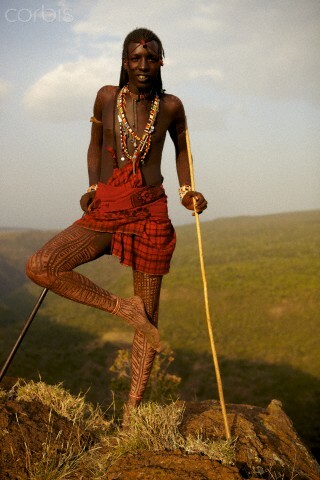 Predominantly a warrior tribe, the maasai are a semi-nomadic group whose lives revolve around cattle. They cherish these animals so much so that “I hope your cattle are well” is regarded a common greeting among the maasai. They speak ‘maa’, a language family related to Dinka and Nuer and they also have a common ancestral tie to the Samburu and the Njemps. The Maasai have a strong belief that God entrusted cattle to them and therefore to them, wealth is measured by how many herds one owns. This very belief is what has seen result to many cattle raids among the ‘maa’ speaking groups as they believe that stealing from other tribes is okay seeing as cattle was given solely to them by the creator. 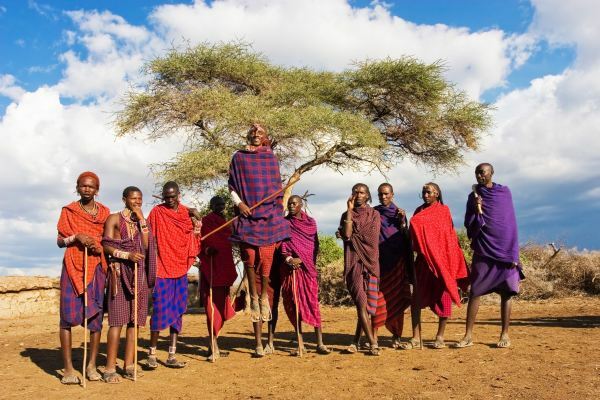 The Maasai as a cultural people, have managed to retain their beliefs and lifestyle despite modern world temptations to change and adapt with new technologies. 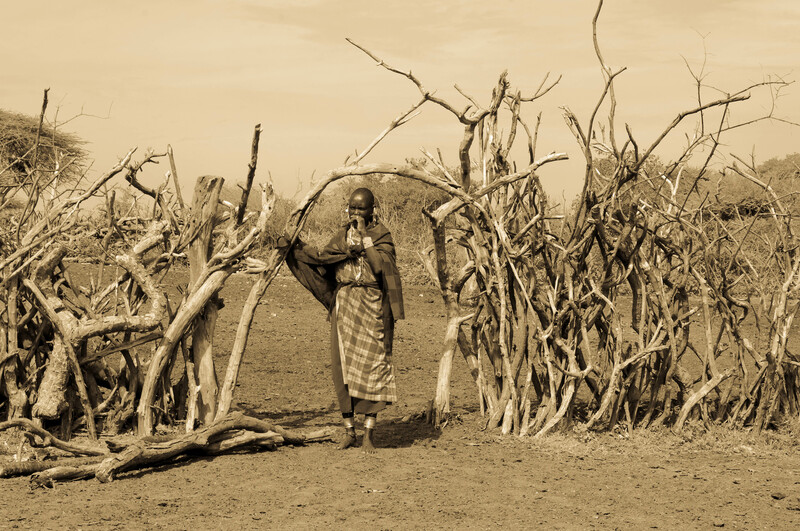 They live in small settlements in Kraals, surrounded by thorn bush fences. Their manyattas ( traditional house/hut) are made out of branches, grass, twigs and cement made out of cow dung and urine. 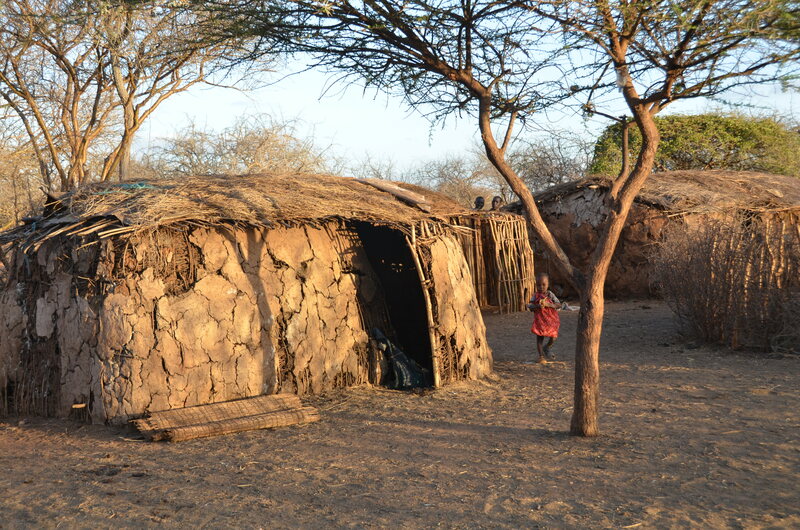 Animal skin and cushions of dry grass serve as interior decor for the huts. For survival, the Maasai rely on cows blood, meat and milk although recent times have seen them adopt agriculture as well. The blood is obtained from the jugular vein of the cow using an arrow and after drawing of the blood, the animal is cared for ’till it heals. 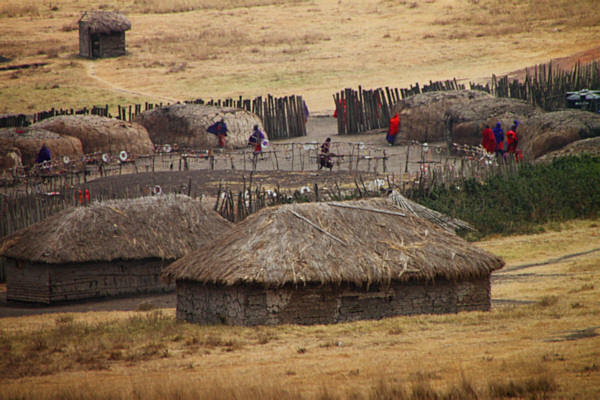 The Maasai tribe constitutes a highly developed system of initiation and age-sets. The highest ranked being the Oloiboni – a spiritual leader, who also takes the role of a political leader. Along with Oloiboni is alaigwanani, holding the political leadership role only, confined within clan parameters unlike the Oloiboni who has an added religious role that goes beyond clans to a larger community setting in Maasai land. The Maasai also consult diviners; Loibonok whenever misfortune hits the community who also double up as physicians treating diseases. 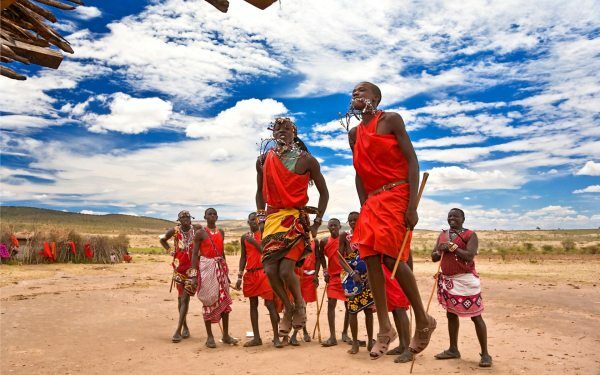 The tribe’s clans are lead by Laigwanak (heads of clans) whose roles include settling land disputes, resolving conflicts between Maasai communities and other tribal groups, as well as serving as intermediaries between the Maasai community and the government. 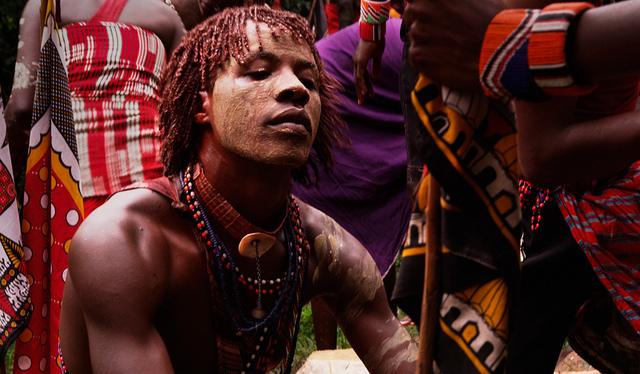 The first initiation stage that the maasai go through is circumcision of boys who are considered junior moran afterwards. They then grow their hair into long braids, usually decorated with red ochre, which is also used to slather their upper bodies. 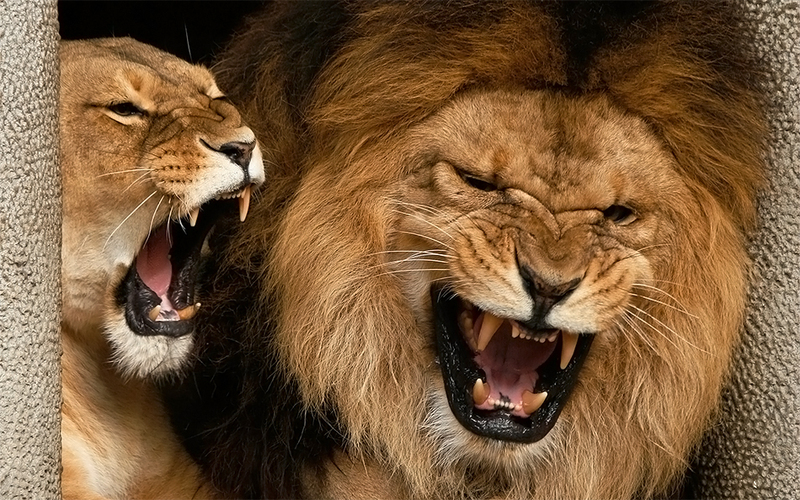 A huge task that the morans previously undertook afterwards but is no longer in practice for wildlife endangerment reasons was lion hunting; Olomayio. This served as a testing for how courageous the young morans were and was a very daunting and daring task having to fight a lion and escape with their life. The victorious warriors would then perform a dance called Engilakinoto. 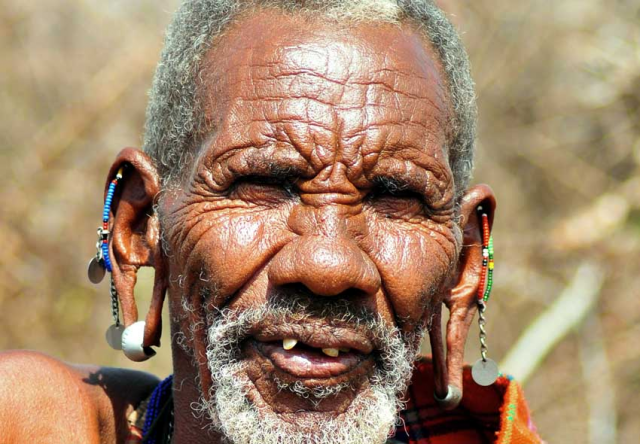 Age-sets to the maasai are an integral part of the society. These are derived during circumcision where a group partaking in the exercise together form an age-group. Each group has a specific role in the community. For instance, boys (age six and seven) begin to learn herding from their older brothers before undergoing circumcision. There are four age groups in total; junior warriors, senior warriors, junior elders, and senior elders. The junior warriors learn about warfare under the tutelage of the senior age group, prepping to be defenders of the land. They also learn about the customs and traditions of the Maasai people as it will be their duty to pass it on to the next generations. The senior warriors on the other hand assume a tremendous responsibility of defending the land from all sorts of enemies. These two groups serve within a time period of about twenty years until another group gets circumcised. 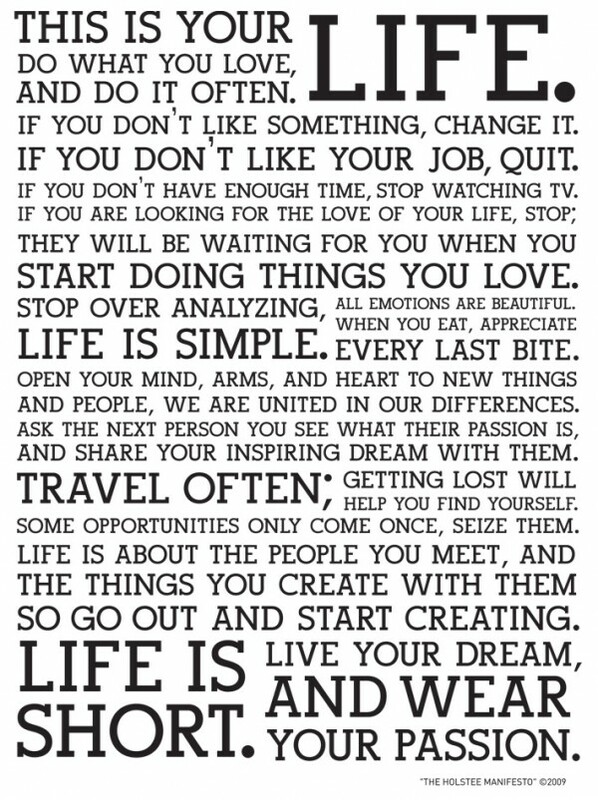 There are no age groups for women, instead they automatically fall into the age group of the men that marry them. 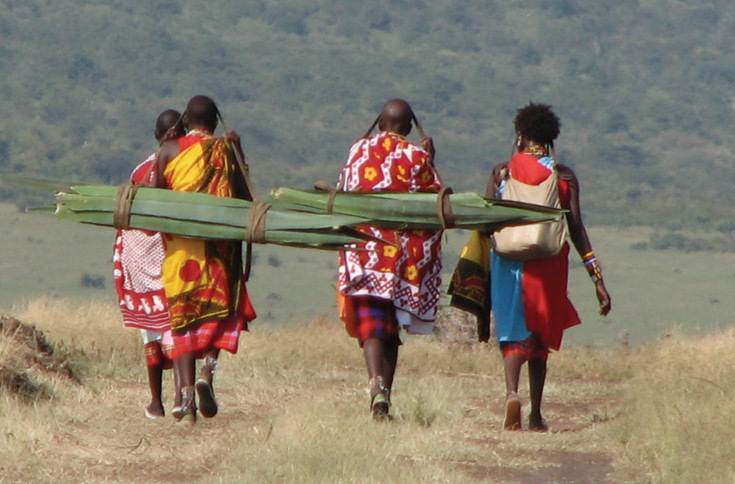 Women are the heart of the Maasai tribe, having to carry out many of the chores in the community. Aside from building manyattas; a task that takes them a period of about seven months to complete, the women fetch water and firewood, milk cows, pick calabashes and gourds decorating them with leather and beads, look after their homes amongst many other duties. Even though women in this society have a strong voice in their culture functioning as religious leaders and educators, they are on the other hand, considered a minority. They have no right to own neither cattle nor land and are represented by their fathers when it comes to sensitive matters and tough decision making and later on after marriage, their husbands. If unfortunately one doesn’t get sons in her marriage, the poor woman will be left on her own with no money, possessions or anyone to take care of her. 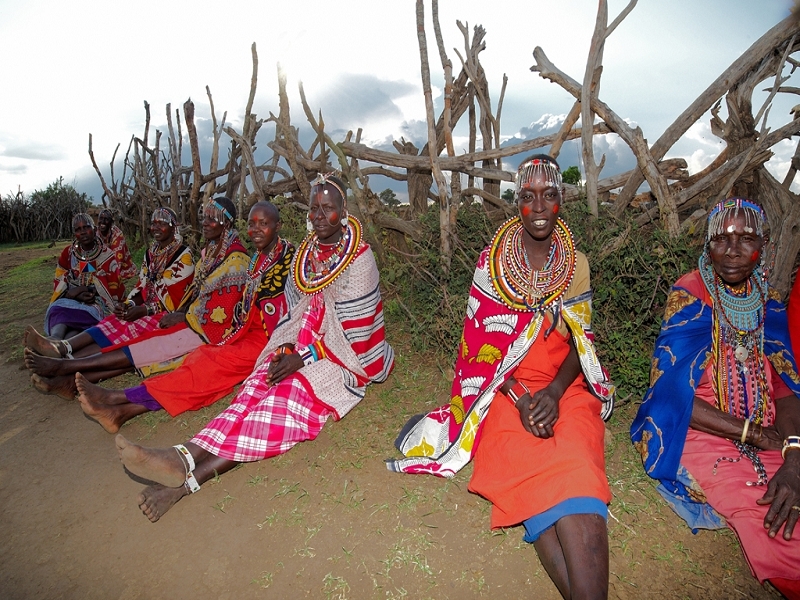 The Maasai are not only known for their traditional beliefs but also for their exquisite artistry. 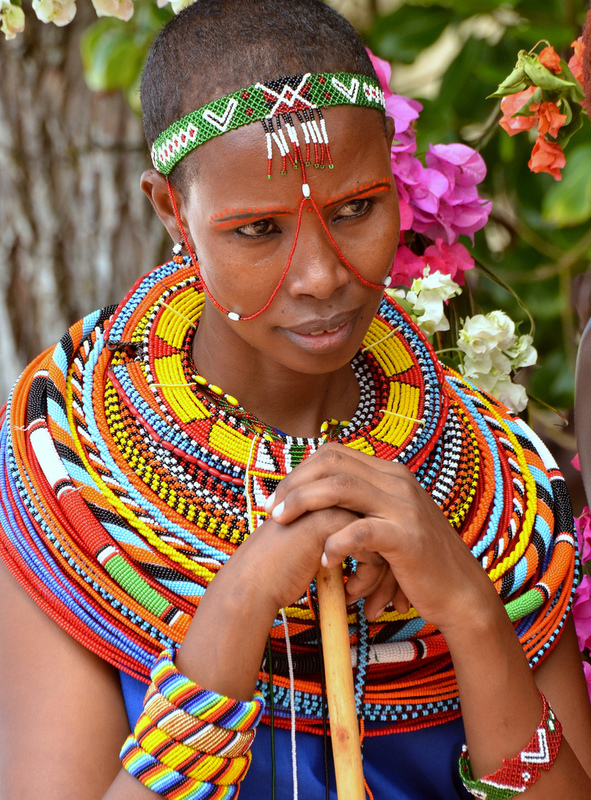 To some of us it appears simply as fashionable but what many do not know is that beading to the Maasai is actually symbolic. 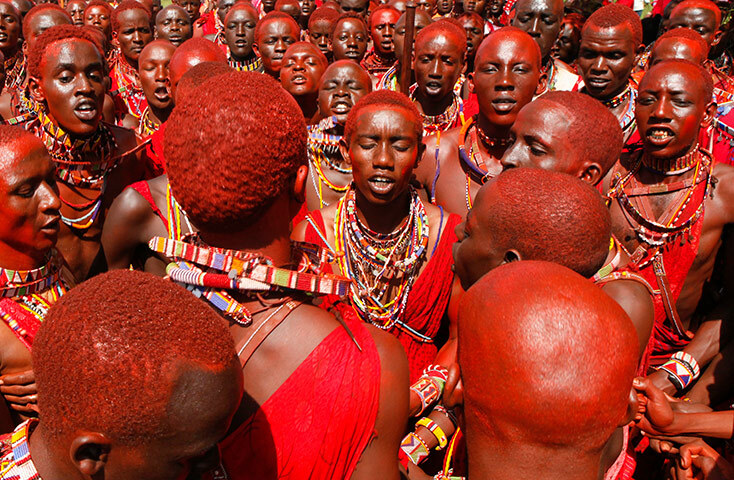 This tribe has about 40 types of bead work that mostly feature the colours red (colour of the Maasai), blue (Godly and reflecting the colour of the sky) and green (colour of God’s greatest blessing, fresh grass after rainfall). The bead work is done by the women but is worn by both genders of the community. Unmarried women adorn one of the beautiful pieces created; a large flat disc that surrounds the neck, made up of rows of beads threaded onto wire, secured and spaced with cow hide strips. Married women on the other hand, wear long blue beaded necklaces, and also decorate their earlobes with long beaded flaps. 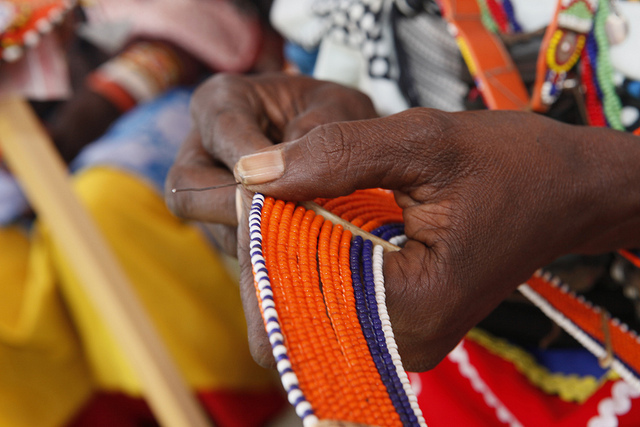 This amazing bead work has gained the Maasai a large market for their creations with locals as well as tourists serving as big customers. 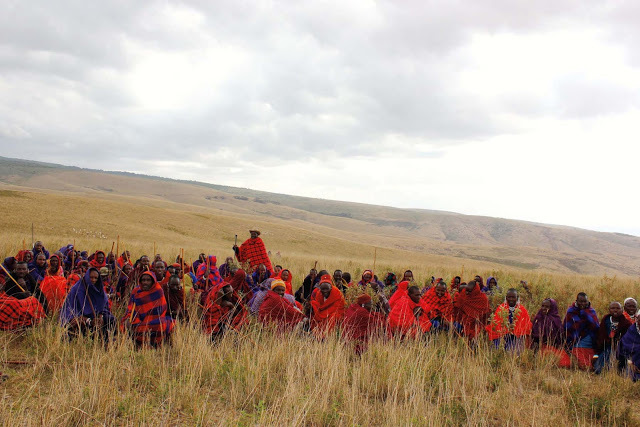 The Maasai tribe is crippled by a number of challenges today; competing with wildlife for their land, natural calamities such as drought causing loss of herds, illiteracy is another thing that short changes the community and constant cattle raids leading to loss of life and property. 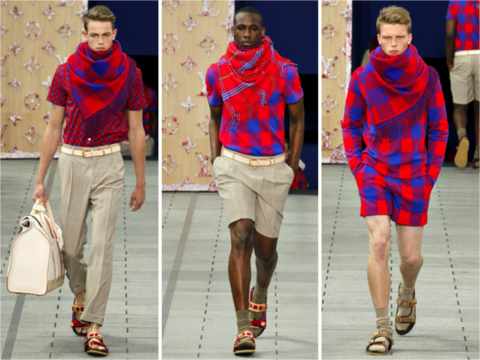 Despite being seen as a rigid society for preserving their traditional ways, their conservatism has undoubtedly gone a long way in bringing the Maasai a lot of fame overtime. Today, they are revered as a community of beautiful culture that has earned worldwide respect. Hi Teeanolia this type of jewellery can be obtained from various Maasai markets held during the week on various specified locations in Nairobi and Mombasa cities. Many curio shops in the country also stock this aside from getting them from the community groups themselves. Are you interested in getting them?? 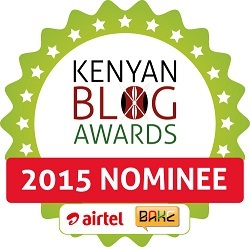 You are using our image of the child in Maasai manyatta without our permission. Either take down the photo or credit it to our blog. Sorry about that and thanks for letting us be aware about it. Thanks for adding the photo credit.